Of all the places I have been, Japan holds a really special place in my heart. Its just this feeling I have; the feeling of transformation, because when you leave, you're never the same. The journey, the adventures, the people, the culture- you just never forget it. I've rounded up the top 8 reasons why you should NOT visit Japan, unless you plan to be sorely disappointed in life afterwards. Ask anyone, if I could eat sushi for every single meal...I would. But let me tell you, sushi in Japan is on a whole other playing field. A film was even made about perfecting a piece of sushi in Jiro Dreams of Sushi. You can walk into just about any sushi place in Tokyo and sit down for an absolutely delicious meal, whether it be sashimi, ramen or sukiyaki. The quality of fish almost melts in your mouth and makes you continue ordering more. Sushi will never be the same after eating it in Japan. As a New Yorker, I have complaint upon complaint about the transit system. Its dirty, it smells, its always delayed, sexual harassment, the panhandlers- the list goes on and on. Enter Japan subway system. Super clean, highly effective, always on time, women only subway cars during rush hour, and quiet, it feels like a subway car of the future. People are polite as they enter and exit the train and barely is there every much noise on the actual train. The entire time I was there, I don't think I ever waited longer than 2 minutes for a train to arrive. As for cabs, drivers literally have white glove service. Don't try to open your own door, its automatic and its considered rude to open your own door. Not only at all the stunning temples do the Japanese live a serene life, but its almost everywhere in the city. There are parks, gardens and lakes that all ooze zen and serenity in the midst of the hustle of this bustling metropolis. In all seriousness, come to Japan with a budget in mind of how much you want to spend shopping because I promise if you don't, you will freak out when you see your credit card statements upon your return. Two words: Mitsukoshi and Kiddyland. From luxury boutiques to unique fashion finds in Harajuku, Tokyo is a shoppers paradise. Kind and most of all hospitable, the genuine people make Japan an incredible place to spend time. The respectful nature almost takes a little time to get used to, but once you do, you never want to leave. Rarely did I see a public trash can in Tokyo nor did I ever see actual trash in the streets. Cigarette butts, nope don't count on it. Even when riding on trains, you don't leave feeling like you immediately need a shower or hand sanitizer. Immaculate, tidy and organized, Japan is a true utopia. Tokyo alone has 13.5 million residents and I witnessed children riding the trains and walking around the city alone. 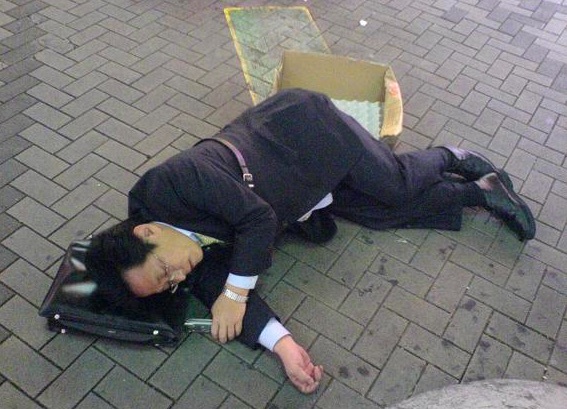 I saw business people asleep on the streets with their briefcase and cell phone out without being bothered. Not to say there is zero crime here, but in a city with so many inhabitants, I felt extraordinarily safe. From the ancient temples and the geishas in Kyoto to the tea ceremony traditions and the stunning ikebana floral arrangements, Japan sticks by its customary roots in all aspects of life. So this is fair warning, unless you want to forever leave your heart in Asia or uproot your life to live in Japan, don't go! Japan will steal your heart in more ways than you knew it ever could. And if you end up going, click here, have the time of your life and soak in every moment because you won't ever want to leave.